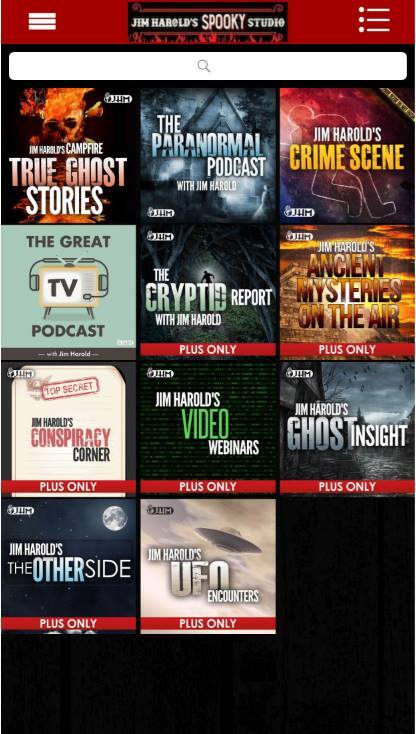 Jim Harold's NEW Paranormal Plus Club – Over 1,400 Podcasts Not Available On Jim's Free Feeds! Welcome to my NEW Paranormal Plus Club! We are now open for registration for new members! As always, you can find the free content at jimharold.com and all major podcast apps. LEGACY MEMBER WITH QUESTIONS ON ACCESSING THE NEW PLUS CLUB? CLICK HERE to ask Jim about the transition. Thanks! CLICK BELOW TO CHECK OUT ALL OF JIM’S PLUS SHOWS! The NEW Paranormal Plus Club is a service of Jim Harold Media LLC via Libsyn.